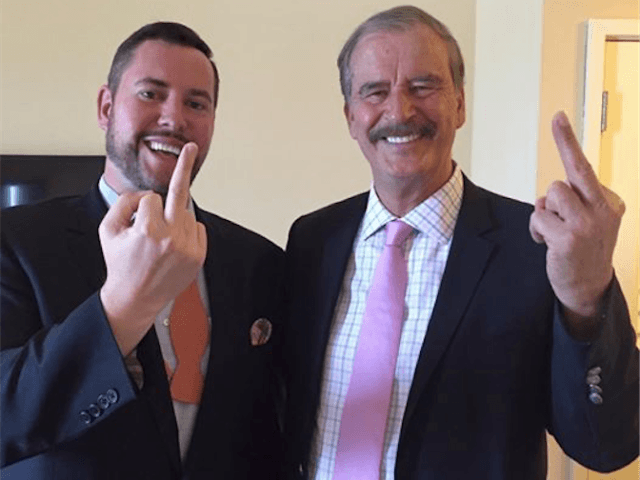 The Huffington Post has published a photograph (above) of former Mexican president Vicente Fox giving Donald Trump the finger, taken a day before Fox apologized to Trump in an interview with Breitbart News. The photograph was originally shared on social media by Ben Mathis, host of the KickAss Politics podcast, which interviewed Fox last Tuesday. 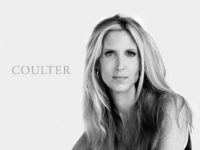 Breitbart News interviewed Fox the following day in Santa Monica, California. On Twitter, KickAss politics teased the interview as Fox “responding” to Trump — though the two had already responded to each other, with Fox apologizing via Breitbart and Trump accepting the apology the following day. KickAss politics also added the “NeverTrump” hashtag. The “Never Trump” movement includes conservatives who have resolved not to vote for Trump even if he is the Republican nominee. In the Kickass Politics conversation, Fox was anything but apologetic. 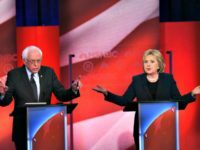 He called the presumptive Republican presidential nominee “crazy” and a “false prophet,” and compared him to Latin American demagogues who “destroy economies.” He also said some of Trump’s proposals could lead to war. BuzzFeed previously banned pro-Trump opinions from its site.